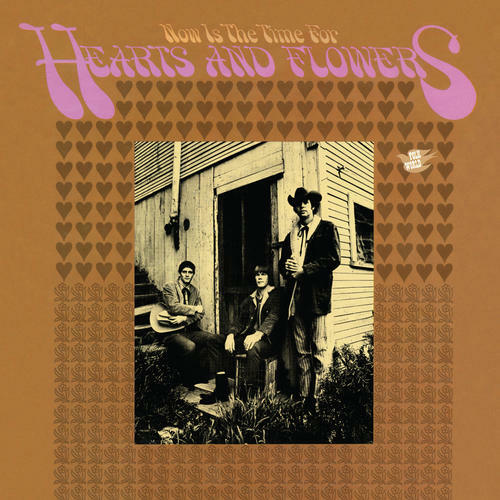 Though they are often only referred to in passing, as a sort of footnote of ‘60s West Coast scene, Los Angeles group Hearts & Flowers were actually one of the most eclectic groups of the time, incorporating elements of psych and country into their folk-rock sound. Founded by Larry Murray, a southern transplant to LA, and a graduate of the same vibrant Southern California bluegrass scene that gave way to Byrds and Burritos, the group’s debut, Now Is The Time For Hearts And Flowers, is a classic album that deserves mention in the same breath as Sweetheart Of The Rodeo or Bradley’s Barn. Reissued on 180 gram vinyl in a deluxe tip-on jacket.